While job boards and job search engines list a number of legitimate job openings, there are also a variety of scams on many of these sites. Scammers list fake job openings to try to collect your personal information or receive money from you. Today you will learn the classic signs of a job scam. This knowledge will allow you to avoid job scams, and focus on finding the right job for you. It is too good to be true. If a job listing seems too good to be true, it probably is. “Get rich quick” listings – ones that promise great wealth, especially for part-time jobs – are often the work of scammers. They contact you first. If you get an email from a company claiming that they found your resume online, be sure to thoroughly research the company and the listing. If they offer you a job or an interview before you have even applied, the listing is likely a scam. The ask you to pay money. If a job listing requires you to pay money, it is a scam. Never pay money as part of a job application, whether it is for work-at-home directories, software, or a credit report. No legitimate job listing will require you to purchase something. They ask for your bank account information. 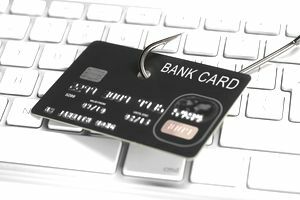 Many scams will ask you for your bank account information, either to set up a direct deposit, transfer money to your account, or send you a check. Any listing that asks for this information this early in the hiring process is a scam. The job listing description is vague. Typically, a job scam will provide a vague job description, or one that many people would be qualified to do. Most legitimate job listings have more specific job descriptions, and an extensive list of qualifications. The listing is unprofessional. A fake job listing will often have poor punctuation and grammar. The font might even change throughout the listing. The contact information might be unprofessional too – it might be someone’s personal email, or there might be very limited contact information. Legitimate companies hire people to write professional job listings, and they will provide detailed, professional contact information. Use the right job boards. Scammers tend to troll job boards looking for people to scam. To reduce the risk of being scammed, use job sites that have extensive privacy policies that only allow verified employers to post listings. Research the company. Go on the company’s website to confirm it is a legitimate organization. Check out the description of the company in the “About” section of the site to make sure it matches with the description of the company on the job listing. See if the job listing is posted on the company site too. Search for the name of the contact on the website to make sure he or she actually works there. If you are still unsure if the listing in legitimate, call the company to confirm. Ask for references. Just as employers can ask for your references, you are allowed to ask for a company’s references. Request a list of employees or contractors, and then contact some of these references to ask questions about what it is like to work at the company. If the company contact will not provide references, do not apply for the position. Check job scam lists. Check with organizations like the Federal Trade Commission or the Better Business Bureau to see if others have reported the listing as a scam. You can also copy and paste part of the listing into Google to see if others have reported it as a scam. If you end up being scammed, or think you have been scammed, report the job scam immediately.